"If home is where the heart is and if we’re all drawn to home, why do we feel so unrooted? Tell me what your notion of home is. Tell me what it feels like. And tell me who’s there, how many times you’ve moved. Because there’s this vision, this heart movement, but what are our true stories?" 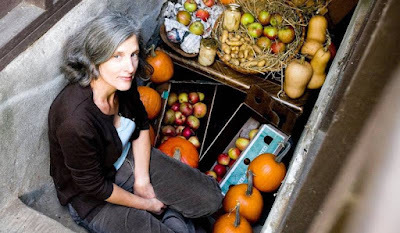 When Harriet Fasenfest discusses the art of radical homemaking, she's not talking about taking your macaroni and cheese to the next level with sphericalized balls of sriracha—though feel free to steal that idea for the next edition of Modernist Cuisine, Max—or starting your next dinner party with readings from Marie Kondo's latest tome. No, Harriet is talking about, oh, upending the myth of capitalism as necessary for a democracy to function and exposing the patriarchal system that set it up and perpetuates it. So, not what you'd call cocktail party chatter. 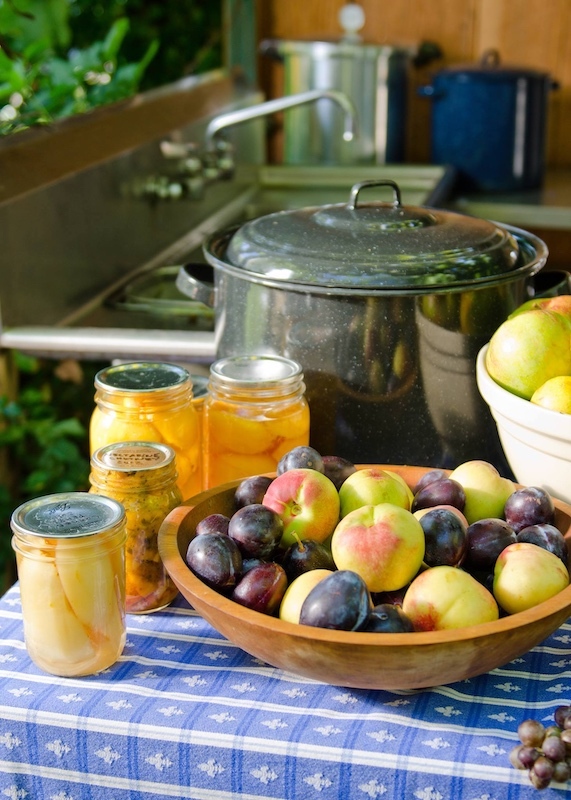 She's offering a series of five intriguing monthly classes titled The Revolutionary Art of Home Economics starting on Saturday, February 2, and continuing through Saturday, June 1, from 11 am to 1 pm at Leven Community Center in Northeast Portland. In the class description, Fasenfest describes the sessions as investigating the transfiguration of land and labor from resources within the home economy into services and products within the capitalized market economy. She said this hands-on, participatory experience "will range from the historical to the personal, from budget making, pie charts, essay assignments, and food storage systems, to a bit of jam making in the garden, with the aim of elevating not only our understanding of the revolutionary art of home economics but it’s capacity to restore our lives and the life of the planet to sanity, joy and repair." I first met Harriet when we lived in Sellwood and she had leased the Bertie Lou Café in 1982, a neighborhood joint that had been in operation since the 1940s. A single mom with a two-year-old son and no restaurant experience on her resumé, she walked in and started making blintzes along with other breakfast favorites in the diminuitive space. Discovered by restaurant reviewer Karen Brooks soon after it opened, and whose rave about the tiny gem drew crowds—a virtually unknown phenomenon at the time—and garnered Fasenfest ardent fans who followed her when she opened Harriet's Eat Now Café in a different location in Sellwood, then to Harriet's café in Old Town's Skidmore Building. A marriage and a move to Georgia introduced her to Habitat for Humanity's founders Millard and Linda Fuller, where Fasenfest became Millard's travel coordinator as well as the couple's neighbor. "We’d go to hear Jimmy [Carter], and I gave Rosalyn Carter my tomato chutney," she said of the period. "[The Fullers] really inspired me in terms of their heart. I was much taken by this thing called the Christian witness, although I know it’s not reserved [just for] Christians." The sudden death of her husband from mad cow disease upended her life and resulted in a move back to Portland to regroup. She connected with Christy Eugenis, who at the time was creating an event space called the North Star Ballroom in an Italian Renaissance-style Odd Fellows lodge in North Portland. Fasenfest became director of its Performance Salon Series, organizing events combining art and performance with social activism. That focus on activism led Fasenfest to contemplate starting her own salon series when, by chance, she ran across a corner space in what was then the nascent Alberta Arts District. "As an old restaurateur I thought, oh man, that spot’s so freaking cute," she said of the space that would house Groundswell Productions. Fasenfest's son, who at the time was going to PNCA, thought it would be a great place for student art shows. "I thought well, maybe I could have my office and they could do some art shows and I can continue mounting my salon series." The last thing on her mind was starting another café, but at the time the street only had a couple of coffee shops, and offering coffee and pastries would supplement the income from the events. So she reluctantly jumped back into the food business. "But I didn’t want to cook, I was done with it. I just wanted to address social issues," she said. "People would come and say, 'Oh, these are really great!' and I’d go, 'This is a think tank, not a coffee shop!' People were, like, 'What’s up with her?'" 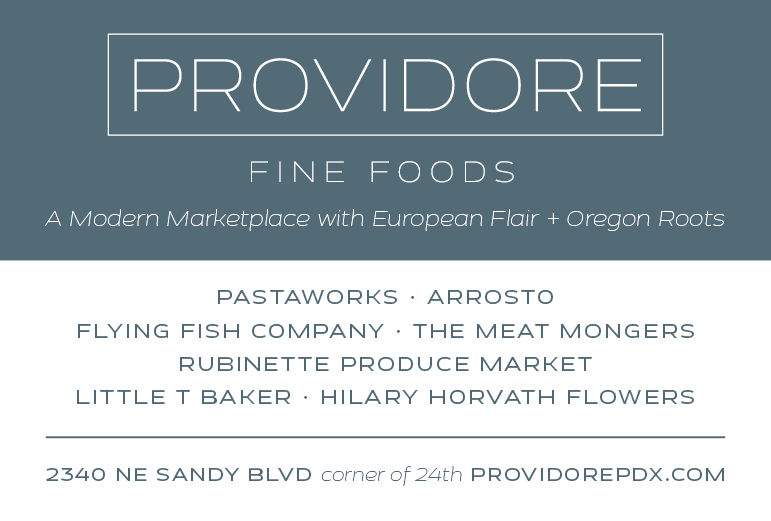 Selling the café pushed her to start Preserve, teaching classes focused on reviving the lost art of home preservation in a storefront on Alberta, then in Fasenfest's Northeast Portland home. In 2010 Fasenfest published a book on what she had begun calling "householding," preferring that term to "homemaking" or "home economics." 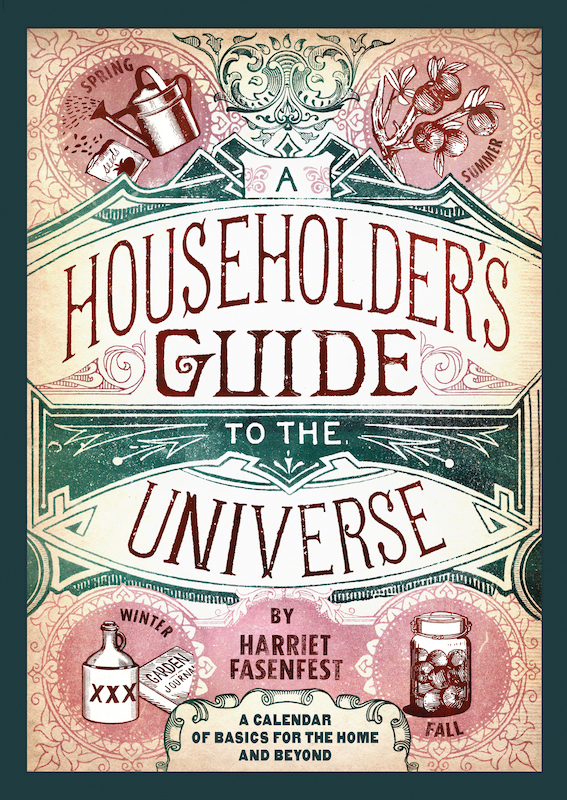 Titled "A Householder's Guide to the Universe," it took up the banner of progressive homemaking and urban farming as a way to confront the political, social and environmental issues facing the world. The book precipitated a deep dive into the history of home economics and Fasenfest began the daunting task of unraveling the strands that she felt had led to the global problems caused by our current capitalist economy. "What happened to us as a people?" she remembers asking herself. "What happened to our relationships? Why do we make choices? What about the system makes it harder for us to be connected to each other? How were all my skills and knowledge replaced by industry? "I could teach till the cows come home, but people are busy or they think it’s kind of a hobby," she said. "They really don’t have the fire in the belly to shift from their lives of consumers in the market economy and shift to the home economy." Seeking answers to those questions led her to begin a second book, one which she describes as a curriculum for understanding how we got here, and how to work our way out of it. "One part is history, then there are skills, then there are essays," she said. "I’m wanting all of us together to slowly deconstruct what the tethers are, where our home is." Using the new book as a guide, the new class series will cost $150 for the five sessions. Contact Fasenfest via e-mail for more information or to sign up, or go to the School of Home Economics page on Facebook. All photos courtesy Harriet Fasenfest.